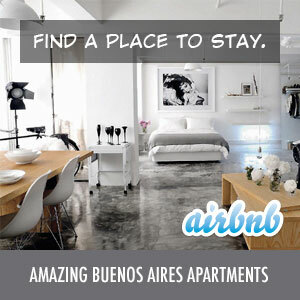 Buenos Aires is known for a lot of things – tango, beef, architecture, etc. They are not, however, known for their seafood. Salmon seems to be the most popular choice and in many restaurants the only choice. A salmon entree will also cost more than almost any beef entree. And yes, you can always get tuna in a can – sometimes even as a sushi roll (yes, it is horrible) – but, finding fresh seafood is difficult. It’s odd because Buenos Aires is almost right on the ocean too. It just seems as if many porteños just don’t like seafood and there isn’t much of a demand. Luckily, we found one of the best fish markets (pescaderias) in Buenos Aires close to our house. Ostramar is on Santa Fe and J. Alvarez and has a good selection of fresh fish as well as some great pre-made salads (squid, mussel, etc), seafood paella, and emapandas with salmon, tuna or mixed fish. Don’t expect an amazing assortment (no fresh tuna), but for Buenos Aires, it’s pretty good albeit a bit pricey.